In an act of sheer atrocity that came to light in the late hours of 28 July, a pregnant woman gave birth to her baby outside a government hospital here, after the doctors allegedly refused to admit her until the next day. The shocking incident was reported from Jaipuriya hospital, where the lady was brought to the same at 10pm last night while experiencing severe labour pain. Upon arrival, the doctors on duty allegedly refused to admit her citing that it was not yet time for the baby to be born, and asked her to come back the following morning. Helpless and in excruciating pain, the woman was forced to deliver her baby on the road around 11pm on Friday night. The same was testified by an eyewitness, who was present at the time of the incident. "The woman was in severe pain. The doctors, without even checking properly, asked her to come on the next day and forced her to leave. As she was leaving the premises, she gave birth on the road right outside the hospital, in the presence of several others. Later, the police was informed and an ambulance was arranged for her," he told ANI. 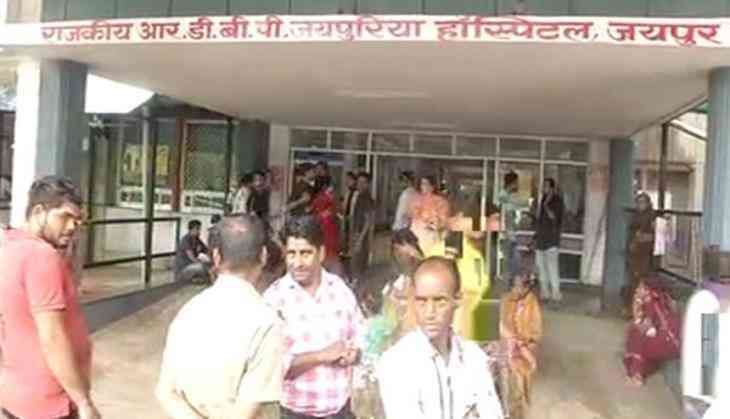 However, Rekha Singh, Superintendent of the hospital, said reversed the allegations and said that it was the patient who was unwilling to get admitted to the hospital, and not vice versa. "According to the report given by the team of doctors, the attendant, who was with the lady came into the delivery room and saw that there were other patients being operated on. Therefore, he decided to leave citing that it would take time for the woman to be examined. However, doctors did try to stop them from leaving, but they eventually left and later the hospital received information of the delivery," she told ANI. "A team of doctors went out to assist her post the delivery as well. However, she allegedly got very abusive with them and refused to take any help. One of the doctors, who was pregnant herself, was also allegedly manhandled by the crowd," she added. Backing this stance, Rajasthan's Women Commissioner Chief Suman Sharma assured that the matter will be looked into on priority, and any negligence on behalf of the authorities will be rectified. "An enquiry committee has been commissioned to look into the matter. We will punish the wrongdoers, if proven guilty," she added.